1. 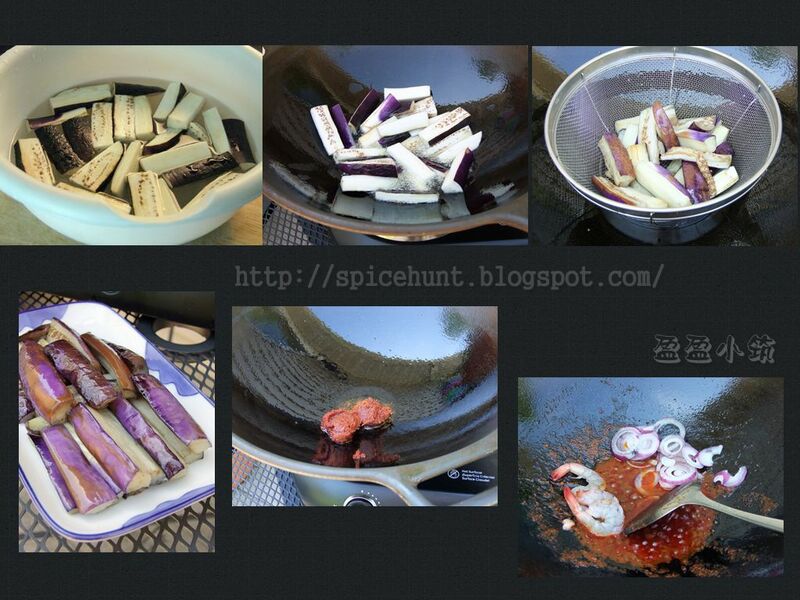 Cut the brinjal and soak in water with 1/2 tsp of salt, this could help to keep the hue of color. Heat up 1/3 cup of oil and fry the brinjal until it is tender, this take about 5 minutes, do not need to deep fried it, it is more like blanching it in oil. Take it out drained and place on a plate. 2. Scoop access oil out from wok, leave around 1 tbsp of oil in the wok to cook 2-3 tbsp of Sambal Tumis, pour in 1/3 cup of water, bring to boil and cook until oil separated from the paste. 3. 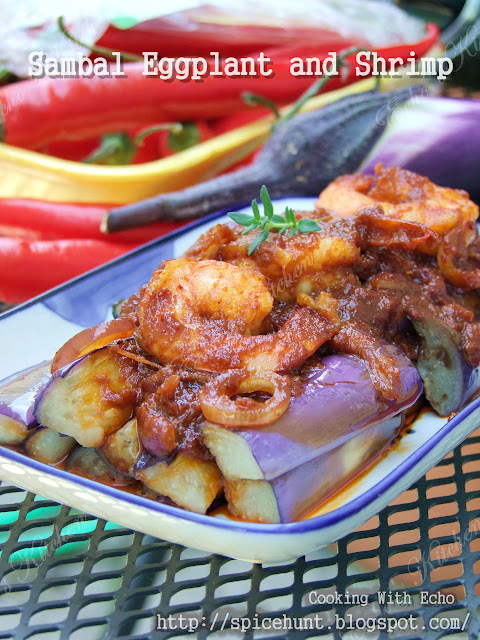 Add onion rings and shrimp, season with salt and sugar if needed, scoop the sambal and shrimp over brinjal. Serve with steamy white rice!